Credit card fraud is a very damaging form of fraud, affecting the consumer victims, the selling merchants, and the credit card companies themselves. The crime costs companies tremendous sums of money every year. Credit card fraud penalties, then, are an attempt to deal with the overall problem of credit card fraud by making it too costly, not worthwhile to pursue. The problem, however, lies in the fact that credit card fraud penalties are not often actually used, as the fraudsters committing the crime are rarely caught. The FBI does not investigate credit card fraud for sums smaller than $150,000, and the Federal Trading Commission only investigates fraud in excess of $2000. As a result, it is easy for fraudsters to avoid any credit card fraud punishment by simply limiting their spending to smaller purchases, and avoiding the higher monetary sums that would attract the attention of these legal organizations. But even if a fraudster were caught for credit card fraud, and faced credit card fraud penalties, those penalties are variable, depending upon what state the criminal is in. Credit card fraud punishment is often primarily determined by state law, and the penalties can vary from 15 days in prison to 20 years in prison, obviously also depending on the exact nature of the crime committed and how damaging it may have been. Fines can also be levied against the fraudster. But these forms of credit card fraud punishment often do not find their marks, and even when they do, they feel insignificant compared to the damage done by a fraudster. Even 10 years in jail and a $10,000 fine as credit card fraud punishment does not seem to match up with a crime which could have cost hundreds of thousands of dollars, and which could also have significantly damaged an individual's credit rating for years to come, preventing that person from achieving full recovery for quite some time. Under US Code, Title 18, Part I, Chapter 47, Section 1029, the general credit card fraud penalties include fines and imprisonment periods, with 20 years being the absolute maximum, only applicable for heinous second offense. It is unlikely that in most cases the full penalty is enforced, however, not least because in most cases, offenders will not be caught. 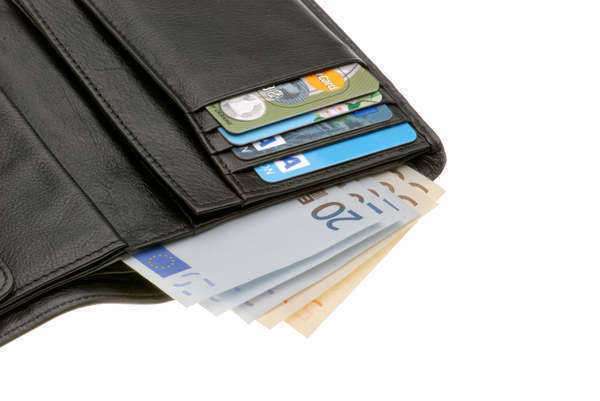 Credit card fraud punishment is especially difficult to enact when the fraud occurs over state borders, and often law enforcement will not attempt to pursue such crime, simply because of the difficulty involved, if the credit card fraud was for small enough monetary values. Of course, credit card fraud penalties will often stack with penalties for other charges. For example, identity theft and credit card fraud often go hand in hand, and credit card fraud involving use of the Internet might also involve computer fraud. This would not affect the chances of actually discovering perpetrators, but it would at least add on to the probability that perpetrators would suffer from more appropriately restrictive penalties.